UK Games Expo has a lot of great things to see, experience and be a part of. I only got to be a part of very little of it, there simply wasn’t enough time. But it’s great that there are so many different things to do there. There’s something for everyone: interesting seminars, several open gaming areas (along with game library) for both adults and kids, new releases, demos of upcoming games and lots of booths to buy even more great games. I had the pleasure of playing and getting my hands on some game releasing for the first time at the expo. Along with other games recently released. 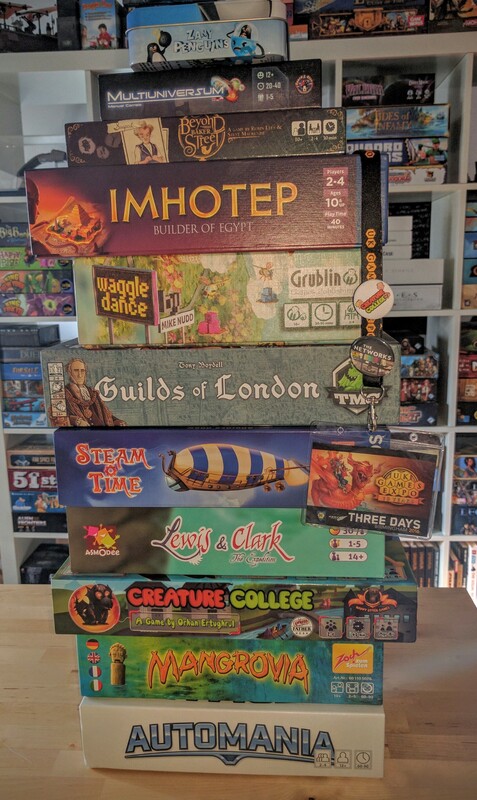 Some of the highlights of the newly released games include Multiuniversium, Beyond Baker Street, Guilds of London and The Networks. These where far from the only games released there, but there simply was not enough time to get to try them all out. The only thing better than getting your hands on just released games, is trying out upcoming ones. 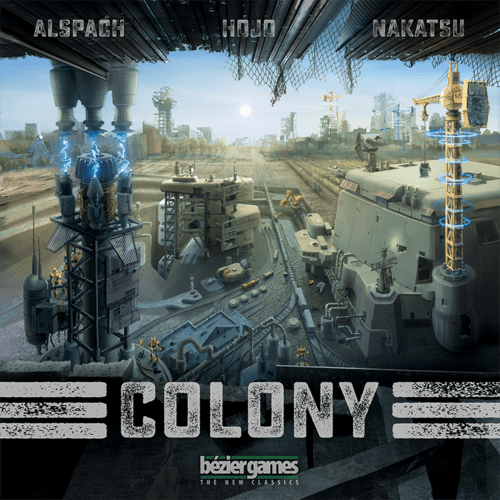 I only had a chance to try out two games that fall into that category: Nine Worlds and Colony. Again I know there where many more demos but had to pick and chose only the things I absolutely had to try. Before the expo I had printed out lists of the seminars I wanted to attend, I knew I would not be able to go to all of them (if I would have I would have had no time to look at and play games). But I did mange to go to a few of them. An interesting seminar about innovation in gaming where Eric Lang shared his insights and the Wyvern’s Lair where I got to watch hopeful designers pitch their game idea to publishers. While I only get to use the open gaming areas after the main expo was closed I had a great time. The areas where massive, and even though so many people where playing, finding a table was not impossible. I had a chance to try out a few prototypes and play some of the new games I acquired during the day. When a game can merge theme and mechanisms together seamlessly I’m interested. When you add a theme that has not been overused and a lot great and whimsical art I already love the game. 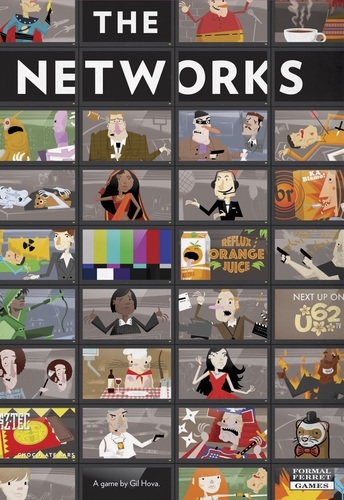 Designed by Gil Hova and illustrated by Heiko Günther and Travis Kinchy this games puts you at the head of a T.V. Network. You start of with basically nothing and then you spend your turns grabbing new shows, stars and advertisements to try to come out ahead of the other players. This was one of the games I really wanted to try out and I’m so glad I did, because it is amazing. It’s very original in its design and mechanisms. You roll dice and draft them, then spend these dice to buy new buildings (or upgrade them). This will let you roll more dice in the future and give you various special abilities, so you build your own little combo engine. It feels a lot like a combo deck building game, but with out the hassle of drawing cards. This is a game I MUST own and one of the first games I will pick up at Essen Spiel in October. Beyond Baker Street is a lot of fun. It’s co-op game where you can’ see your own cards, but everyone else can. In that respect it is similar to Hanabi. But it’s much more than that. You have to solve a mystery before Sherlock Holmes does. 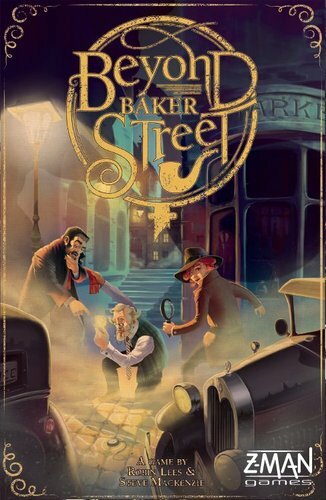 You do this by playing the right cards from your hand, but since you can’t see them the other players will give you clues about them, but each time a clue is given Sherlock will be one step closer to solving the case (and if he does you all loose). This is a great little co-op game with a nice theme to it, really enjoyed it and can’t wait to try it out again.